17 people on board, while the Moroccan and Spanish authorities have tried to find a lost boat in the western Mediterranean. The UN Human Rights Agency could not independently control the death penalty. More than 2,200 people lost their lives and tried to cross the Mediterranean in 2018. "We cannot blind the eyes of the large number of people dying on Europe's doorstep," said UN Refugee Commissioner Filippo Grandi in a press release. "No effort should be saved or prevented from saving lives in distress at sea." Who is responsible for immigrants at sea? The first boat disappeared with 53 people on board the Alboran Sea at the western end of the Mediterranean. A survivor is treated in Morocco after 24 hours stranded at sea. A search on the ship over several days has so far failed. The second ship, a dinghy, left Libya on Saturday, according to the International Organization for Migration (IOM). Spokesman Flavio Di Giacomo said three survivors told them that 120 people were aboard when they left Garabulli in Libya. An Italian air force floated two rafts to the boat on Friday after seeing it sinking in uneven waters, said navy worker Fabio Agostini to the television broadcast RaiNews24. 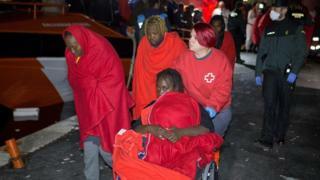 Three people suffering from severe hypothermia were pulled from the water by a helicopter and treated on the island of Lampedusa, he said. 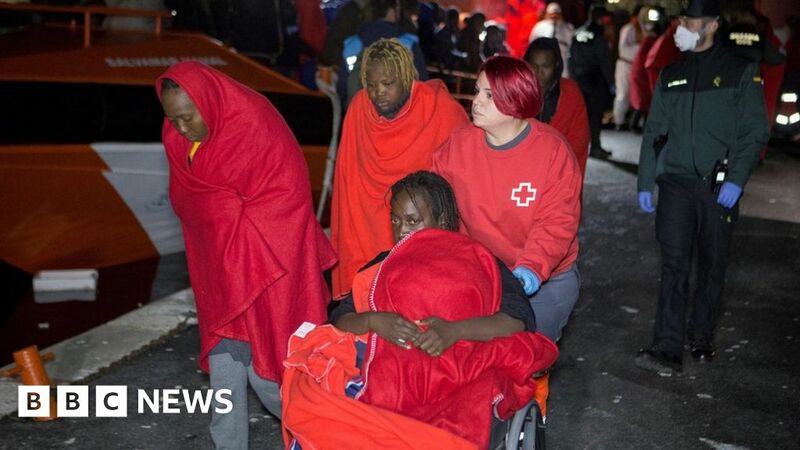 IOM says 4,216 immigrants have crossed to Europe at sea in the first 16 days of 2019 – more than double the number arriving in the same period last year. Several European countries – including Italy – have resisted accepting migrants in recent years. Italy's populist deputy prime minister Matteo Salvini wrote on Facebook after the sinking that "as long as European ports remain open … unfortunately, the smugglers will continue to do business and kill."